Mario Kempes, a World Cup winner with Argentina. 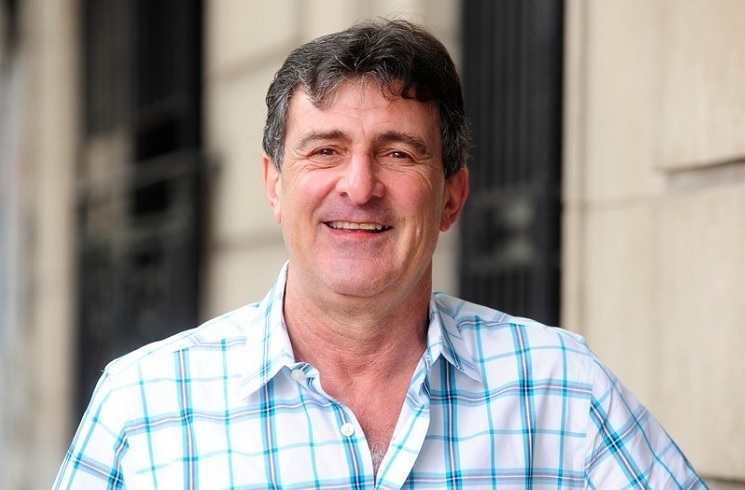 Argentina’s 1978 World Cup winner and top scorer Mario KEMPES spoke to TyC Sports recently and has made his opinion clear on what should be the future for both the National Team and Lionel MESSI. KEMPES recently offered himself take over the head coach of the National Team if Jorge SAMPAOLI gets the sacking. He was also critical of the group of players. 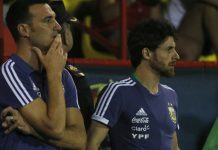 KEMPES also acknowledged that the national team has been suffering on what he describes as Messimaniac. 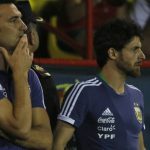 On the conflict between the players and the coaching staff that took place in Russia, to the point that there were reports that SAMPAOLI was no longer in charge and the players were making all decisions. Lastly, on how he feels this group of players will be remembered, the man known as El Matador had this to say. Being a fan of Argentina for the past 8 years and looking back at everything. One of there biggest issues is that they have had great individual talents but as a team they struggle to find a identity. When they`ve found a coach like Sabella or Tata who has some sort of system that works youve seen how far Argentina can go in major tournaments. The amount of coaches they`ve run through over the past 8 years is why no ones really wants the job. Moving forward they need to have a level of stability in order to get the best out of the next generation in terms of coaching and the way they want to play. The sort of football Argentina played around 2012-2014 should be a blue print in my eyes, a sort of mix between possession, counter attacking and defense. In regards to Leo Messi with Argentina. I think he should take a bit of break from national team duties for a while. If he`s still playing at pretty high level for his age at 34-35 years i would take him in 2022 even he was a bench warmer. He is the only one out of the old gen i would take because of the quality he could still have plus the experience that he brings. With due respect these guys like Kempess, Heinze , they all dwell in past . Definitely I agree that this generation didn’t play as a team in this WC and all the burdens were on Messi (Still this team could have gone far in this tournament had we put up a better defense) . I have real doubt in their knowledge of contemporary football . First he suggests wholesale change and then asking for local based players for a major tournament like copa 19, I am surprised. “Still this team could have gone far in this tournament had we put up a better defense”. Don’t be naive they almost had no opportunities against Nigeria. Go and see. It’s not just about defence. Totally agree with kempes but sadly it is never gonna happen. None of the seniors should come near the NT again. And every other guy from this squad should be made to earn their place again and should not get a guaranteed call up. Next 4 years should be spent in not looking for stars but to find 2 if not 3 possible players for every position. Where are the days when Argentina gave debut to 19 or 20 year olds. Redondo, Simeone, Ortega, Aimar and so on made their NT debuts as teenagers. Nico Gonzalez has officially joined VFB Stuttgart. He was given his debut by Heinze 2 years ago. Speaking of Heinze, he has managed to keep all his youngsters at Velez at least for one more season, but now he has to look for a striker after Zarate went to Boca. He was interested in Union’s Soldano last season may be he’ll go after him. Atletico have signed 18 year old CB Nahuen Perez from Argentinos for 2 mil. He has not played a single Primera match and was in Russia as part of the Sparring team in Russia. Borrussia Dortmund is keeping an eye on Barco but then Dortmund is always interested in Argentinos but never end up signing them. Kranevittor to Atalanta on loan. Parades could also move as both West Ham and Celta Vigo are interested. I agree. Those players should stay. yeah start everything completely from scratch, get the young green players and they should do better than the experienced players … I really cannot believe that came from a football legend. It’s a pure angry reaction. 0 pragmatism just like so called @Gonzalo. Those people are childish and think radical changes can heal anything. Will be dangerous to leave any responsibility to that kind of people because they will be the same people who asked for the return of senior players when the young players do not meet their expectation. You completely don’t understand. Time of pragmatism was on every of last tournaments. Now it’s time for futurism that needs long term decisions and not short-sighted attitude like “get the young green players and they should do better than the experienced players”. The green players must not play better at once but in long perspective. That is the aim. YOu want to sitck with oldies that are far past their prime what current WC proved. “they will be the same people who asked for the return of senior players when the young players do not meet their expectation”. Maybe you are talking about you and your behaviour before WC when it comes to few young names. I understand from your comment that you want banega , mascherano , biglia , di maria and higuain to play forever with the NT. dude , this is called the circle of life. old ones go and newcomers come. every single team in the world must changes generations. and during the world cup qualifiers ,it was obvious that this generation was finished and they need new blood. the end result of playing with overconsumed players is what happened in the world cup. they may be fighters but they are too slow to play against young fast players. it is time for new blood in the team. there may be no world class players among them but the change must happen as early as possible. They can all new players and have simeone coach them but nothing will change as long as AFA remains the same. Ghallardo is the most overrated among all young Argentine coaches. He won a libertadores early in River thanks to poor showing from Brazilian teams that season and Alario and some worthless cups after that. His showings in Primera and Copa tournaments since then are pathetic. He has taken the club backwards and no quality youngster has bloomed under him, infact players he discarded like Simeone and Guido Rodriguez have flourished elsewhere. Berizzo is crazy his teams win against the best one day and lose 6-0 the next. Pocchetino not a winner and a British fan boy. Simeone is incomparable. Tailor made for the NT. But we have to understand he has personal ambitions in Europe. He has over achieved at Atletico and he wants to achieve something at Inter and then he will surely be interested in the NT. Remember the Simeone WhatsApp leaks after Croatia match. It was done deliberately as it was his way of giving some ideas to that Moron Sampaoli as if the shithead would even bother to care. His words very chosen and goes on to say We will still go through becos Iceland won’t win and gives his input on how we should tackle our 2nd round opponent without directly pointing it would be France. THIS WAS THE BEST NATIONAL TEAM THAT ARGENTINA HAD IN ALL OF THE DIFFERENT ERA’S. i agree. they may have reached 3 finals but no way they are the best argentinean national team ever. He is correct, but why he is insisting on argentina based players. He is referring to EPL players Otamendi,Agrueo and Rojo, they will have gruelling season in EPL. After season they might not have much juice left for Copa19. Some crazy people still want to invest in them. 10 years in not enough for them! If they are not hired by greedy AFA just to support of famous names for making money in friendlies I can’t understand them in anyway. Great words from Kempes. We must and we can start with a clean slate. Now Messi must go. At least for one year. 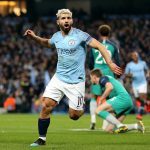 I could understand keeping of Aguero in the team if we had not such talents as Lautaro, Dybala or Icardi. I could understand keeping of Rojo or Otamendi if there were no players like Foyth, Mammana, Cristian ROmero, Pezzella, Tagliafico and so on. And I can’t understand keeping still Di Maria and Banega because the players need 10 games to do one thing good. They are waste of place. Moreover we had Lo Celso and Paredes on Banega position and plentiful of talented wingers on Di Maria place. WHat I want to say one more time is that the likes of Paredes and Lo Lelso should easy take Banega place. I’m not a fan of Paredes but he will not be worse at least. While is young. Lo Celso must be better already. Not because he is so outstanding but because Banega briliance moments are very rare. He may do sometimes something really creative in attack but it’s too rare while at the same time he usually poor on defending. Luis Enrique has been appointed Spain’s manager and we are sill waiting for SAM ‘s replacement. It is down to two in my humble opinion, Pekerman who I want and Gareca who is not bad BUT you never really know. All the other names are smoke and mirrors, some logical but very doubtful and the others are farts in the wind. I will not choose Pekerman. His style of play is beautiful but his team always chokes in penals..Gareca looks like default choice or may be pekerman deputy Cambiasso. i agree with him in every aspect. it is time for this gen to step aside and let the new faces to take their chances. Argentina must start from the scratch and build a team that can win by a team work not by individuals. Messi wants to win the World cup for Argentina. Neymar wants to win it for Brasil. Harry Kane wants to win it for England and Griezmann for France. Everybody got their own pressure. But Messi being Messi the pressure on him cannot be compared with other players. But we forget one thing. Does Messi going to settle in Argentina once he retire ? The answer is a big no. But he likes to settle in Argentina ? Maybe Yes..he likes Argentina. But really what is the difference in pressure between a South American team especially Argentina and Brazil or their individual players compared to European teams pressure and expectations. South America as a continent is poor and corrupted. Before the start of 2002, Batistuta said “Only I can bring the people of Argentina the world cup..not jobs and happiness..”. That is reflected till today. Messi and Neymar believe deep down the state of their country is corrupted..the glory brings HOPE to the people and they may have a bright future keeping this happiness as reference. That’s where they fail. Even if we win the cup..we celebrate for a month or two or three. then our normal lives comes back to haunt us..corruption and financial depression cannot be eradicated by winning a world cup. Government must be genuine and they must really try to bring hope for the people. Not Messi and Neymar. England want to win their World cup for their people. But the people of England are already happy. Winning only takes them to extended happiness. Their happiness is only related to football point of view..maybe emotionally..not financially..even if they fail to win the cup, after one week they go back to their normal life of happiness..this is the same case for Germany, Italy, Portugal and most of European nations. Apart from World best player tag, the burden Messi creates upon himself is purely due to this mentality. He must realise..winning the cup won’t change the lives of Argentine people..maybe give hope and happiness for a month..even if the people take that reference for a long time..if the government fails..at one time people going to suffer..We must go to the World cup with the view..it’s just another competition..that’s reality..luck plays a major role..of course getting qualified for that is tough..but by the end..it’s just another competition..we fans also elevated the things and expectations to another level..Osho say “Dance as no one is watching you..”. You won’t make that dance if you dance for someone..expecting some results..that will be a block..that’s why we are never creative this world cup..more the expectations..less will be the creativity..But for all the sufferings people of Yugoslavia had..Croatia deserve to win this world cup..
Argentine players just have to watch the ball and try to put it in the goal post. This longiness must be dropped before we put a proper system in place, need to produce atleast 4-5 top players in every age group to supplement retirees. We should aim for 2026 and 2030 Double. WC is a simple tournament just 7 games but you have got to play toughest teams. We need a coach around 50 years who can help us achieve this for say next 10-12 years. I do wonder what would happen if Romero and Lanzini weren’t injured..
and Dybala instead Meza in all matches. We could be the one facing Belgium. Dybala… if it was up to Sampaoli only, he wouldnt have been called at all at this WC. For some reason, he didn’t seem very enthusiastic. Certain experienced players, players playing at the highest level must stay involved with the team. I would say Messi, Aguero, Banega, Rojo and Otamendi must still be involved, the rest of the team must be made from young and fresh players. I would like to see Dybala, Paredes, Pavon, Mammana, Pezzela, Lo Celso all involved. A TEAM has to be built and then you put Messi in that team with clear instructions on what his role is. It doesn’t work trying to build a team AROUND Messi because we don’t have the players with the right characteristics/mentality to do it. At Barcelona, every player is a champion, a top player. David Villa, Pedro, Suarez, Neymar, Henry, Etoo, Busquets, Iniesta, Xavi, Rakitic, the list is almost endless. These players all have character and a winning mentality who are all willing to feed Messi the ball when the time is right, but at the same time, they step up and take responsibility – this is what Di Maria, Higuain, Palacio, Lavezzi, Benedetto, Rigoni, Meza etc are not ABLE to do, they are weak mentally. We must appoint a new, long term coach with a clear idea and a modern understanding of football. He must be a winner, tactically flexible and brave. We have 4 years to prepare a team and as much as many will not like it – we have 4 years left of the greatest player ever – Lionel Messi. We have to make it count. I agree with kempes here. Kempes is pure sports for pointing this out. Let us rebuild our team without Messi, Messi can join us in Copa 2019. Some people are saying that lets integrate Seniors with New players. This will backfire like it did for Germany. In Germany-Mexico match, full backs seniors like Hummels, Boatang were playing as center forward when they were caught by Mexican. Same way Our Masche was caught playing as forward against France. Seniors who are there in team for 10 years cant learn tricks from new coach. It is coach who has to adept to players methods. Centurian , Kranteveer & Angel Correa Are Still Ok ….Could Try A Bit Of Lamella For Copa …..
And For God Sake – Play Dybala , Lautaro , Icardi Upfront ………Pavon Can Be Used As Needed In Wings . Augero Could Still Be Good As Sub Striker ……..
And Donot For God Sake , Donot Call Messi In Any Friendlies … Call Him In Big Tournaments And Play Him As Midfielder , Someone Who Can Generate Pass To Lautaro / Icardi ………. And For Holy Sake , Stick With Same Coach For 10 Years – Whoever The Coach May Be ………..
Find A Way to Play Without Messi And Use Copa 19 , 20 As Experiments For Young Guns …..
And Bring Back 2026 ,If Not 2022 Worldcup …. The passion of the large south American crowds in Russia was fantastic. They won the hearts of almost every neutral viewer on the globe. On grass it was a different story. Somehow, they seem to think it is wise to build a national team around one (super)star. Those times have gone, football has changed. It is now all about the team, tactics and analysis. Look at the differences between the Copa America and the European Championship, the first is great to watch with attacking football and many goals, the latter is much more calculated and less attractive to watch. Crosses from wingers have become almost obsolete (only 1 in 80 attemps results in a goal) and more and more goals come from set pieces. The times that one player (Maradona, Pele, Garincha) could dominate international football have gone. Argentina likes to dwell in nostalgia, but needs to wake up to the 21st century. There needs to be a clear team strategy and flexibility in tactics. At the core is the education of young players at the clubs. Countries like France and Belgium have players from all over the world (Mali, Cameroon, Congo etc). They never would have become so good without the training, education and facilities in Europe. Argentina will continue to deliver great talents, but without good training, education and facilities to develop we will lag behind European teams. A (super) star can help the national team achieve results, but should never be the focus anymore. The last 4 WC’s (including this one) were won by European teams. South America needs to change, otherwise the situation becomes similar to the WC for clubs where the Copa Libertadores winner will always lose to the Champions League winner. We have to look at economic angle of it. Latin America especially Argentina is facing economic crisis. AFA has funds crunch. It is best to let local club flourish economically by providing incentives to develop players, Clubs can develop players and NT can use them. The economic crisis in Argentina started in 2001 and continues until today. Not only in AFA but also on political level things go wrong for almost 2 decades with no improvement in sight. Sad. Ninety years ago Argentina was in top 10 richest countries, nowadays it slips down that list each year. Yes, Argentina never recovered after the great depression 1974-1990. Strong national economy and strong national team usually go hand in hand.